A good spy story! This is not a James Bond book, though he does make a couple of brief cameos, rather one set in the Bond Universe where SPECTRE are the bad guys. 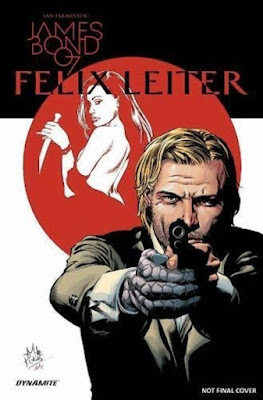 The main character of this book is James' friend Felix Leiter, ex CIA, missing half an arm and half a leg, now working as an independent contractor. The story involves a Japanese cult trying to start a war between Japan and North Korea. It looks like they are in cahoots with either North Korea or Russia, but you'll have to read more to find out! Good pacing and a good read.